Torsten and Wanja Söderbergs pris, Ilkka Suppanen. 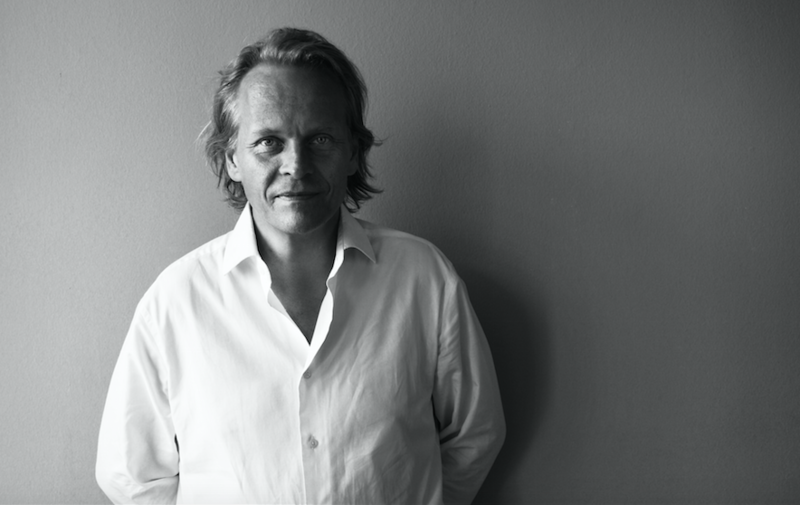 Ilkka Suppanen won the prestigious Torsten and Wanja Söderberg’s prize. Here is an introduction from Ilkka himself that was not published in the catalogue. Looking back, dreaming about the future. I am very honoured to receive this prize. It’s given me a chance to look back at my life and feel gratitude for all the opportunities I have had since I was a young designer. Every bit of positive feedback gives a designer confidence to continue developing their thought process, no matter where they are in their career. For me, drawing is a very important part of my thought process. Drawing allowed me to become a designer. And I think the drawings in this catalogue describe my journey as a designer more than words ever could. Drawing has helped me navigate a complex world ruled by words. It helped me to continuously ask questions about the role of design, from designing products and environments to thinking about the larger, more complex systems that govern our world, and what is possible in the future, with all the human creativity and technology available to us. As soon as I could hold a pencil I started scribbling, but it was at school that drawing started to have a particular significance to me. Although I was verbally articulate, I soon realised that my imaginary world was made up of images, not words or text. I could not understand why I was not allowed to draw my way through every class! It turned out that I am heavily dyslexic. In those days there was no diagnosis, so school was very difficult for me. Drawing became my refuge. It was the only way I could get praise from teachers or make my schoolmates laugh. Through drawing, I had a chance to develop my interests and get a higher education studying architecture and design. 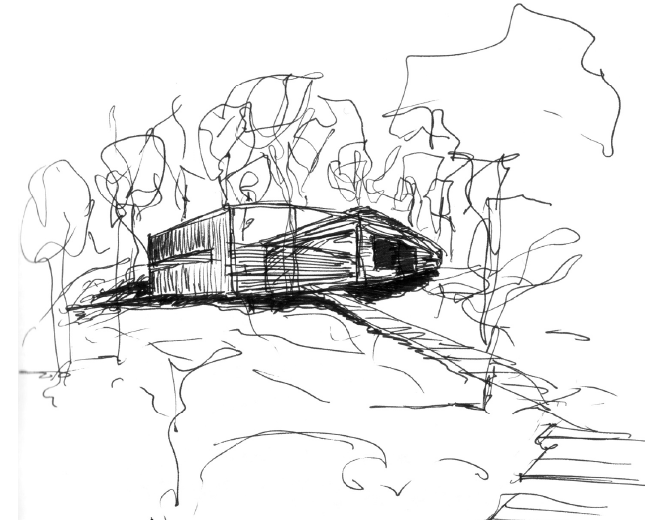 I look back at the drawings of my heroes, Alvar Aalto and Eero Saarinen. I look at their drawings and I am in conversation with them. In Alvar Aalto’s drawings you can see several scales sketched in a one single piece of paper simultaneously: this represents his holistic view on design. Just one drawing holds all that knowledge. Eero Saarinen could try and solve multiple problems in a one single drawing. I saw a plan of a skyscraper and an evaluation matrix of possible future wives in one drawing! These heroes showed me how drawing is a way of dreaming the future. And for me that sums it up. That’s a designer’s job. It’s what we are trained to do. I believe the most important work for a designer today is to share their process with the world, so that we can collaborate in dreaming a better future and designing the world we all want to live in. Imaginary Life recently was invited up to the Artic circle by artist Laila Kolostyak to help organise a seminar and workshop for over 20 selected snow and ice professionals from Russia, Finland, Sweden and Norway. The seminar was funded by Kulturkontakt Nord and the Norwegian Barents Secretariat and aimed to explore how Snow and Ice professionals can raise the profile of their work, as well as collaborate and share knowledge across borders on how to drive successful projects of all scales; from installations in nature parks, to interior and architectural design, to urban planning and urban reclamation and festival planning. Keynote speakers included leading professionals such as Timo Jokela from the University of Lapland, Rovaniemi, known decades of spectacular land art, Jens Toms Ivarsson, Design Director at the world-famous ICEHOTEL in Jukkasjärvi, Sweden and Ole Morten Rokvam, an artist and craftsman who has curated leading events with snow and ice in Norway for over a decade. In addition, the artists from Kirovsk and Murmansk were exceptionally inspiring, sharing their festival and community work and bringing a lot of love and live music. We were discussing the ‘eternal ephemerality’ or ice. Is that something Design can learn from? Absolutely. Imagine: the earth was created at some point, some billions of years ago. The water we are working with could have come from a comet- its ancient and essential stuff. Two different materials met and collided, basically stone and water. They became a frozen moment. Hot lava froze into stone, and water turned into ice. It’s this moment of change that artists and designers often explore in the materials and contexts they work with. Moments of change. Tipping points. How materials age next together. How they behave. It’s fundamental stuff, but ice also teaches us about the nature of continuous change. The seasons, nature’s needs, human needs in winter climates, and of course, climate change. These are new frontiers for design in general. We always think about the negative aspects of snow and ice, how to get rid of it, how to avoid it. We’ve hardly scratched the surface of how to use it as a material. How long is something ephemeral? It’s a good question. It all depends on the point of view, the objectives of a project. 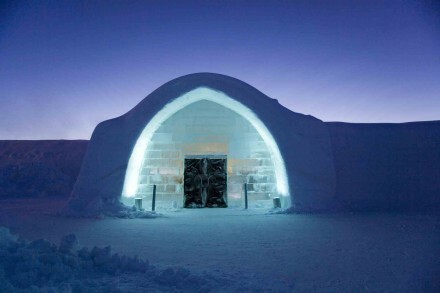 We follow the melting process of the ICEHOTEL too- it is so beautiful. We spend so long making details, crafting interiors and design elements –always knowing it will melt and return to the river again. And during the process, the sound changes in the building, the atmosphere is fantastic. It’s not sad- its liberating. The ice hotel doesn’t collapse, it opens up in the centre to reveal the sky and the surroundings of the place where it started. There is so much new knowledge to be gained about snow and ice. But there is a high risk of making mistakes working with such a volatile material? Yes – but the volatility also opens possibilities. Designers always ask “How do I avoid mistakes?” Ernst Billgren’s book ‘Vad är Konst 2′ (What is art 2) says that the short answer is to sit very still! As soon as humans do something there are mistakes, but mistakes also lead to discoveries. All our genetic development and success is built on learning from mistakes. When I work in stone or concrete and it is placed in city, there is a lot of pressure as the object will lasts for a lifetime. Working in snow and ice is very freeing in a way. You can be more brave and experimental. Less self conscious and more playful. How do you work with seasons of water and light at the ice hotel in Jukkasjärvi? You’d think it all happens in the winter as the focus is on ice art but we are moving to all year round. In the summer there is rafting, fishing and other nature activities and the phenomenon of the sun never setting at night- that is a very special experience to have. Also we are preparing for the water to freeze long before it does. It’s the pivotal moment for us, as we invite artists from all over the world. And those artists are not all traditional ice sculptors. We work with people from all background to explore what they can create with ice as a material. We can also funnel water from the river, and blow it through snow canons to create a material we call “snice” –manufactured snow. We can throw snow onto moulds. Sometimes we use reinforcement to create very large structures. We are also learning more ever year about how to use ice reinforcement. The old way is to create giant moulds for architectural structures where the walls are built with plywood moulds and filled with snice, much like the process for creating concrete buildings. By exploring ice reinforcement we open new doors to resourceful innovation in architecture. How many people are involved in constructing the ICEHOTEL in Jukkasjärvi every year? At the ICEHOTEL we have a team of over 50 people who work on the structure alone. Then there is all the finishing work on interior design, lighting and so on. Tools and methods are developing all the time and its important to share this knowledge. Focus on working together is important – the joy comes when it is finished! One of the hardest jobs is being on roof in minus 35 connecting wires without gloves. It’s the engineers, technicians and ice workers we really have to thank! They make these ideas possible. What other type of work do you do there? One example is that we send ice and snice all over world- and send our engineers to make large events possible. For examples we created a catwalk for Chanel at the Grand Palais in Paris. We needed to install a cooling system for the 40 m long 8 m high catwalk. Karl Lagerfeld ordered it. We had to tell him not to wear boots not to get wet. He was great fun to work for. We asked him to lick the ice and he obliged! One of my favourite projects that you showed at the seminar was the roundabout you made in a lake. Yes, we cut out a huge disc in the river and added a boat engine. It was a simple intervention to see if the disc would rotate – and it did! It rotated at a perfectly even speed. It worked out better than we anticipated it would. Nature is like that. Back from London and the Photon Symposium, and seeing the prototype of an all glass living pod that will be one of 9 pods in a proposed Photon Village at Oxford University. The concept was conceived by Brent Richards of Transpolis Europe and executed by Cantifix, an advanced glass engineering company based in the UK. Brent Richards describes the project: The Photon Pod has been designed to maximise daylight for the inhabitants in order to carry out scientific research into “the effects of daylight on human biology”. The 4 year research period will involve 8 Photon Pods and allow 300 participants to be tested in a Photon Village. As a control two of the pods will be “dark” with only 12% of the surface transparent, which equates to the average amount of glazing in a typical home. 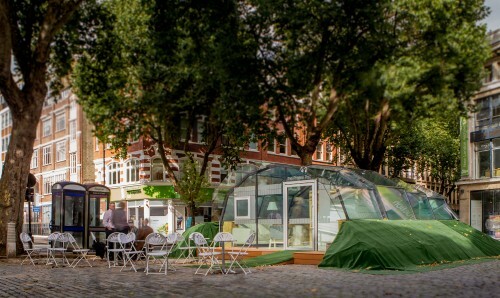 The shape of the Photon Pod has been designed to minimise the reflection of light waves by keeping the surface of the glass perpendicular to the sun when the building is orientated north/south. The make-up of the double glazed units uses the latest technology to increase the insulation properties, whilst reducing solar gain to maintain a comfortable living environment in most climates. The interior facilities were considered in relation to the length of stay for each participant and the fact we didn’t want the research data to be influenced. In the majority of cases a participant will only have to stay for 3 weeks and therefore basic facilities of a kitchen; shower and WC; bed; desk; and seating area were considered sufficient. 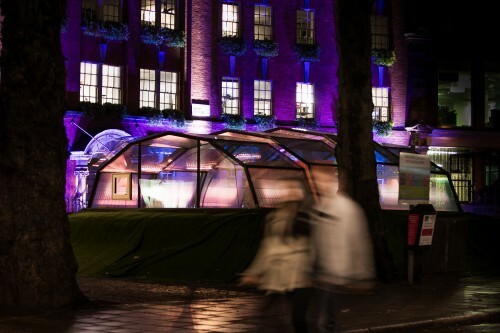 Philips were invited by Imaginary Life to design the lighting in the Pod to show how a combination of natural and design light should be combined to enhance the wellbeing and to harmonise the practical need for artificial light with the biological need for natural light. For the purposes of this launch, Hue, Philips connected lighting was programmed to create a compelling and dynamic experience, as well as enhancing the architecture of the innovative structure. The Photon Pod is a means for collecting data on how light effects the mind, body & soul. Photos by George Sharman. 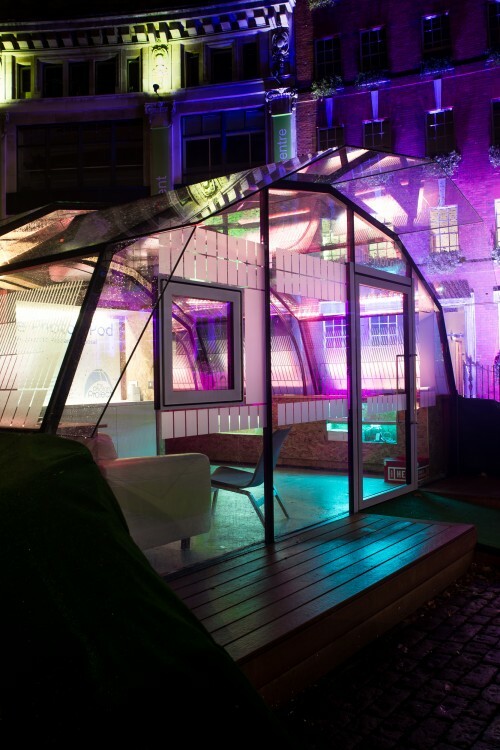 The Photon Pod Installation at The Building Cente, London. How drawing saved my life. By Ilkka. As long as I can remember, I have been drawing. As soon as I could hold a pencil I started scribbling. Those scribbles turned into drawings of my friends, my family, their houses, their cars and other people I saw on the street. It was a way of navigating the world that existed around me. It was my way of labeling things. Drawing was part of my language process, like any child. It helped me categorize the world- and therefore understand it. 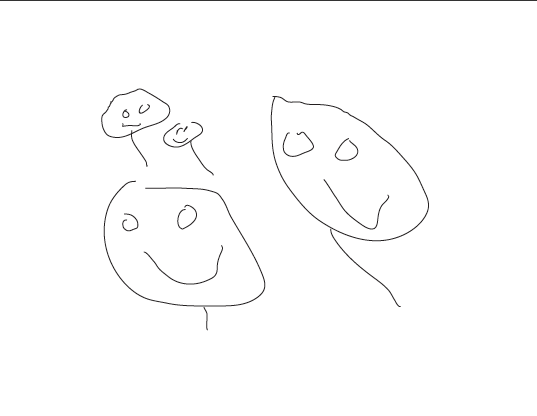 I drew a lot of family portraits. People gave me confirmation through those. I got more confidence because they loved my drawings and slowly I started to draw things that I wished to see. A world of my own imagining. A boat with wheels or a man with 8 legs. They were kind of dreams, an imaginary life. Drawing was also a way to express my moods and feelings and like most kids I used crayons and “wax pastels”. There drawings that were a kind of abstract expressionism. So far it is the story any child might have with drawing. But it was at school that drawing started to have a particular significance to me. Although I was verbally articulate, I soon realised that I wasn’t like the other kids. My imaginary world was visual- not verbal. I started to have a very hard time in school. I couldn’t keep up with the class work and worse than that, didn’t understand the point of the exercises. Why couldn’t I carry on imagining the world? Why wasn’t I allowed to draw all the time? It turned out that I am heavily dyslexic. But in those days, the schools and teachers didn’t have the tools or knowledge to diagnose kids like myself. And because my problems were not recognized or diagnosed at school, my situation just became worse. Drawing was my only refuge- my only way of communicating with the outside world and getting some positive feedback from my teachers and peers. Drawing became my very own language. The other kids loved it and I was more popular because of it. It helped me compensate for my verbal and written expression – or lack of it. But one day, when I illustrated my thoughts with drawings in a Finnish language test my teacher yelled at me again and everyone laughed at me. On Monday my drawings were great, on Tuesday they got me into trouble. It was a very confusing time. Somehow I managed to finish school. My drawings meant that I could go to higher education – it got me into university and it was probably the greatest way for me to learn during my university time. I used drawing to make mental notes. It was the most important single media to learn, document, plan and illustrate all the design and architecture I was learning about. Once again I was allowed to dream. As a student I traveled to important locations, sites and buildings in Rome, Siena, and Venice to make drawings. Once I sat all day in Siena’s main square until late in the evening. Drawing allowed movement, but it also enabled stillness. It let me observe life I wouldn’t normally have seen. I drew all the buildings around the square. I realized that drawing a building or site is one of the best ways to learn architecture. During the drawing process you learn every detail, you learn about proportions and shadows, and even the daily changes of the architecture in a profound way. It was through drawing that I realized that architecture is not static, but inherently connected to the time and space of its surroundings. Only later I understood the importance of life drawing. Even if it was difficult and painful to draw the human body, it was a way for me to learn about layers of structure, from what is seen to what is unseen. From the skin right through to the bones. The breathing living movement that is part of every stillness. Light and shadow. 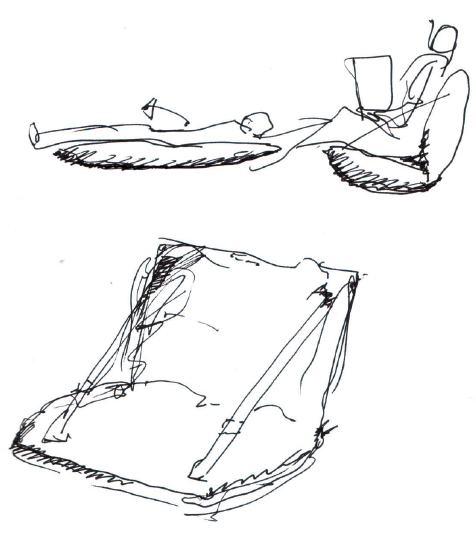 What I learned from life drawing I have also taken with me into my furniture design- it has been translated quite clearly into an understanding of the body’s relationship to furniture- and architecture. Ergonomics, use and pose. The emotion of space. I have always been fascinated by technical drawings. To me they are like abstract modern art. 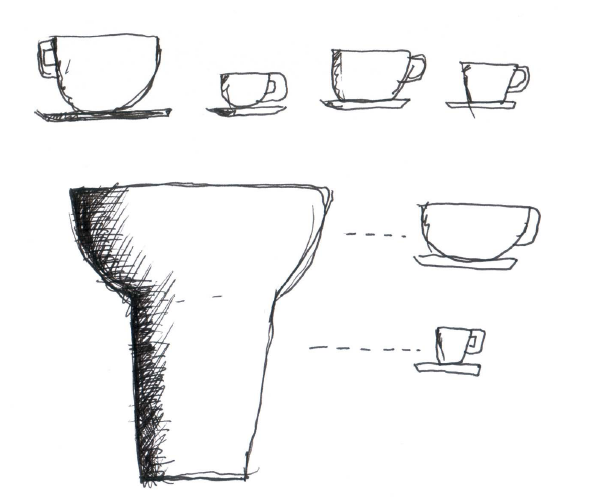 Technical drawing tells me more about something than a photo or realistic sketch. Technical drawings reveal secrets and mysteries: How things are made, how things work. In the end, technical drawings are the final documents we do in my office. They are my work, and my tools to talk with other people about design. They describe my projects more than words ever could. And my drawings go on teaching me, more than I could imagine. It’s not as if I have an idea and then I draw it. Drawing is a reiterative process, where the drawing itself takes on a life of its own and tells me the questions that need to be answered. Anyone who draws understands this. You can’t ‘choose’ what you draw unless it is already justified. Already correct. The designs in my studio are always based on technical drawings- they are the last defining work done in the whole design process. Drawing from an early age enabled me to develop a process naturally that enables me to ask all the right questions at the right time, again and again until the solution is just right. When I am drawing today, there are many reasons depending on the time: maybe I am studying a technical detail, maybe I am trying to understand “what if” – or maybe I am trying to find out why something is good. Maybe I am just thinking aloud. I always make several sketches to communicate and discuss ideas with my people in my studio. When I am bored: I draw, it’s a friend who can be with me no matter where I am. I entertain myself by dreaming about possible products and spaces for a future that is better than one we know today. I look back at the old masters: my heroes before me- Alvar Aalto and Eero Saarinen. I look at their drawings and am in conversation with them. In Alvar Aalto’s drawings you can see several scales sketched in a one single piece of paper simultaneously: From a detail of a door handle to the site-plan to the perspective of a house. In a way this represents his holistic view on design. Just one drawing holds all that knowledge. I meet my heroes in books and discuss design and architecture with them through every line and gesture. I am still fascinated about the vast variety of problems that Eero Saarinen could try and solve in a one single drawing: I saw a plan of a skyscraper and a evaluation matrix of candidates for his possible future wife in one drawing. For me this represents his opportunistic view on architecture- and how he also used drawing as a thinking process- to think about the future. To dream the future. The drawings are serious, poetic, light and artistic. They are about something that could be or something might not be for centuries. So when you ask me to explain the importance of drawing, I should in fact, draw for you. Because drawing is not only a strong part of my work and who I am. It is more than that – it has enabled me to be myself, in a complex world ruled by words. BTW, What is a Photon? Here’s a little piece of technology that can change the whole nature of connectivity, depending on how we choose to use it. Paraimpu is a new social tool that connects Objects with the Web so that you can control physical objects via social media messages such as turning your lights off and on with Twitter, or share data from objects with via the web, such as medical data. 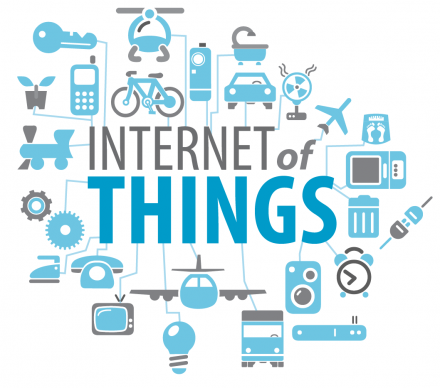 It is quite simply, the first user-friendly, general purpose web platforms for Internet of Things. Paraimpu basically allows users to connect physical and virtual things to the Web: real objects, Arduino boards, sensors, entertainment appliances etc. It also can connect existing social networks, APIs, software applications, and services on the Web too. Basically everything that “speaks” HTTP. This is an amazing piece of tech, that could be the next big step in getting the Interweb off our computer screens and into any number of more natural interfaces, in the home and out. Paraimpu provides a palette of precongured settings so that users can connect their objects to the system with zero or minimal configuration. It can also let objects ‘speak’ to other despite their different natures: for example, you can connect a set of environmental sensors so that it publishes its data live on facebook, or you can control a motor in real-time via the web. Great for mining or other industries where safety is a high risk factor. Friends can connect their apartment appliances such as ambient lighting to Twitter so that the lights change when my friend tweets the right instructions. There are of course any number of more practical applications: If I connect a CO2 Sensor I can reduce emissions on a motor for example. Paraimpu is also social: users can share their objects with other people/friends setting a policy for each owned thing: private, public, moderated, etc. This means that I can share an save money by gaining access to data I would normally have to pay for. The mind boggles. Urbanflow envisions a new interface and operating system for cities. Urbanflow creates a more efficient, transparent relationship between city administrators and citizens – via real time data. Urban screens show locally-oriented and general purpose data in easy to use interfaces that help with all sorts of everyday activities from finding your way to getting info on energy, weather, traffic, public transport, and more. Citizens can also report anything from an event to a pothole in the city. The same urban screen shows contextual, hyperlocal information as well as broader, citywide content, allowing users to peek around walls and across the city. For officials and administrators this means making the city more transparent and efficient to manage through immediate feedback from the city’s residents. Watch the Urbanflow Helsinki Intro. You wouldn’t think of Westminster Abbey as a progressive organisation, but the launch of their new conservation website today has positioned them ahead of the rest, with a beautifully simple approach to opening their doors to the public. Well executed, unpretentious videos show the work that goes on behind the scenes and interviews the staff responsible for conserving- rather than restoring – the people’s national heritage. And for the average man on the street, the content is surprisingly interesting and accessible. Be sure to drop them a line of feedback, and hopefully this will be just a taste of more to come. Elizabeth Redmond is a 23-year-old inventor and entrepreneur whose POWERleap flooring converts human energy into ready to use on-site energy. She envisions its use in urban settings: city sidewalks, dance clubs, airport terminals, fitness clubs, campuses, office lobbies; in short, anywhere that lots of people walk. We LIKE!